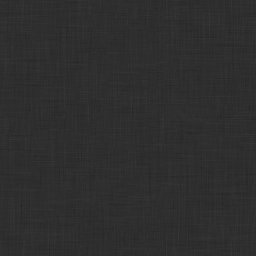 With each published issue of Dao, we choose one article for discussion here on Warp, Weft, and Way, and Dao‘s publisher gives everyone free access to the article for a year. The next article to get this treatment is “Aristotle and Confucius on the Socioeconomics of Shame” by Thorian Harris. The article can be accessed here. Howard Curzer of Texas Tech is going to start off the discussion in a couple weeks with a précis; in the meantime, we encourage you to download and read the article, and then join in the discussion when it begins. March 27-29, 2014 University of Alaska, Anchorage (UAA) Philosophy Department and UAA Ethics Center are jointly hosting a conference and convocation of undergraduates, graduate students and faculty. We will gather around the theme “Living Ethically in the Global World.” Intentionally the broad theme allows for diverse papers engaging ethics and topics requiring ethical analysis. Rogers Ames will offer the keynote address on Confucian Role Ethics. We are particularly hopeful that there will be broad participation from students and faculty with interest and expertise in non-Western perspectives. We are eager to have participants from many countries and states. 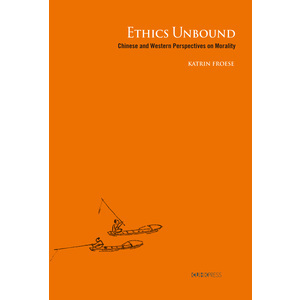 This book closely examines texts from Chinese and Western traditions that hold up ethics as the inviolable ground of human existence, as well as those that regard ethics with suspicion. 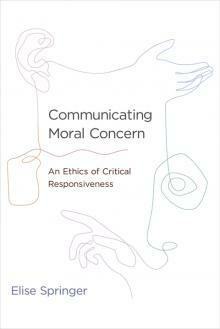 The negative notion of morality contends that because ethics cannot be divorced from questions of belonging and identity, there is a danger that it can be nudged into the domain of the unethical, since ethical virtues can become properties to be possessed with which the recognition of others is solicited. Ethics thus fosters the very egoism it hopes to transcend, and risks excluding the unfamiliar and the stranger. The author argues inspirationally that the unethical underbelly of ethics must be recognized in order to ensure that it remains vibrant. KATRIN FROESE is Professor of Philosophy and Religious Studies at the University of Calgary. She is the author of Nietzsche, Heidegger and Daoist Thought: Crossing Paths In-Between (2006) and Rousseau and Nietzsche: Toward an Aesthetic Morality (2002). As if that wasn’t enough, in a few places Elise explicitly engages with Confucian ideas, and in general is very open to a broadly global scope of philosophical endeavor. I myself find a great deal of continuity between her work and current work at the nexus of Confucianism, moral psychology, moral education/cultivation, and virtue ethics, though I also find some of her key ideas very challenging to certain Confucian pieties. Finally, while it is only available in hardcover right now, at Amazon the price is only a little over US$30.00 :-). We still need commentators, and please let me know if you are interested. Dr. Kim’s and Mr. Lu’s papers already have commentators (and there are three other commentators who are not set on any particular paper yet). Thanks!